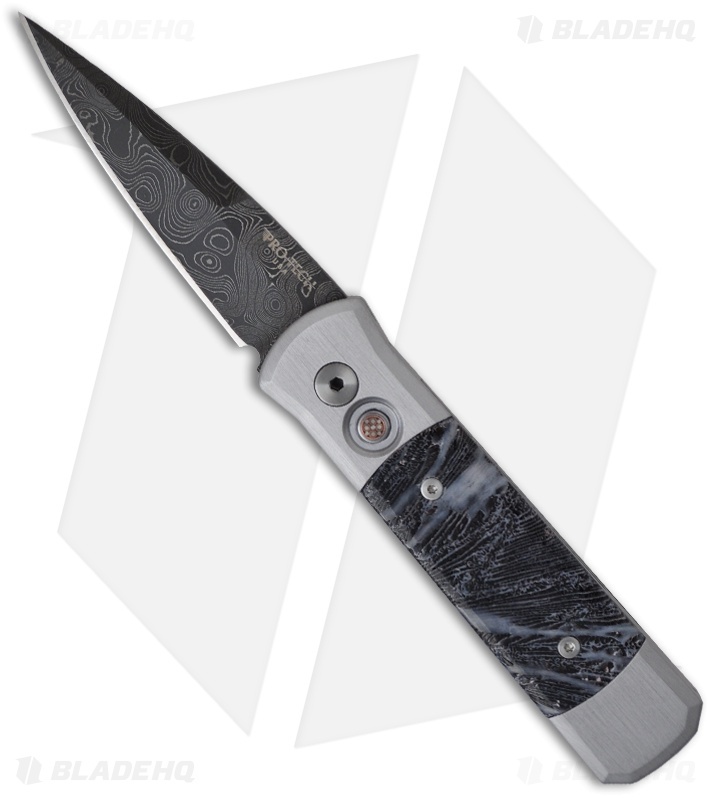 This Custom Damascus Godson from Protech is an impressive knife. 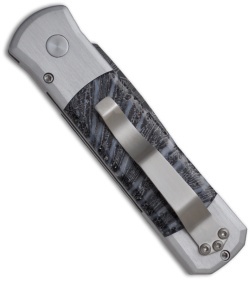 It features an aluminum handle with Brain Coral inlays and a titanium pocket clip. The blade is Chad Nichols "rain drop" patterned Damascus steel. The action and lockup are superb, exactly what you expect from Protech.